Did you know These Interesting Facts about Rugs? 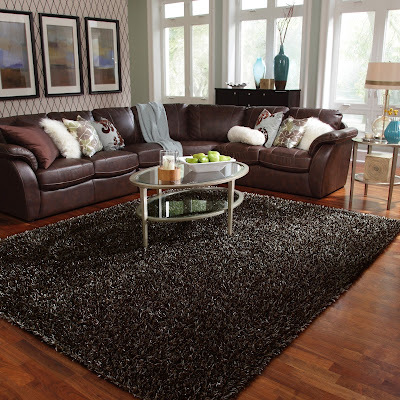 Rugs and carpets are essential part of our home décor, but what most important is how to care for them. But sometimes, it is fun to know about the interesting history and facts behind carpets. Let’s get indulge into some random rug trivia which will surely give you information. Did you know that you can give your carpet a polish look easily at home? I am sure you do not. By simply putting on socks and walking over your carpet can make it clean and give it a prim and proper look. How? Because the simple logic of fiber against the fiber is good as the wool polishes the rug making it newer every time. Well this gives you another reason for you to wear socks and walk over your carpets. Did you know that you can actually see the real color of the thread by putting your rug under the sunlight? Well yes, you can actually figure out the original pigment under the sunshine. Did you know that smaller rugs are more beneficial, hygienic and healthier as compared to wall-to-wall carpeting? The things like bacteria, growth of mildew, food crumbs and spills allow the growth of harmful bacteria and molds. Most area carpets and rugs are extremely durable and if taken proper care they can last for a lifetime. If you clean them regularly, it will prevent its four enemies- grit, moths, moisture, general wear and tear which will extend its life cycle. Norwalk virus can actually accumulate and grow inside your shaggy carpets if not cleaned properly. I hope these fun facts would have helped you to keep your rugs clean and germ-free which is necessary for a healthy environment. You can also choose and buy carpets online that gives perfects & royal look to your floor. If you are thinking about refurbishing your bedroom, then you must be getting lot of advises and suggestions from your family and friends which can throw you for a loop. Fret not as there are many hacks and tricks available over internet that can guide you through the process. If you like to give a makeover to your room according to the season then one of the easiest ways to get a cheerful and vibrant boudoir is to build your color scheme. You can pick one color for the walls and the other colors for accessories. If you do not want your room to look like it just had a color explosion you can simply add white and bright curtains to ensure the illuminated bedroom is still the hot pick. Also you can infuse some understated subtle shades of purple or gray in your draperies. 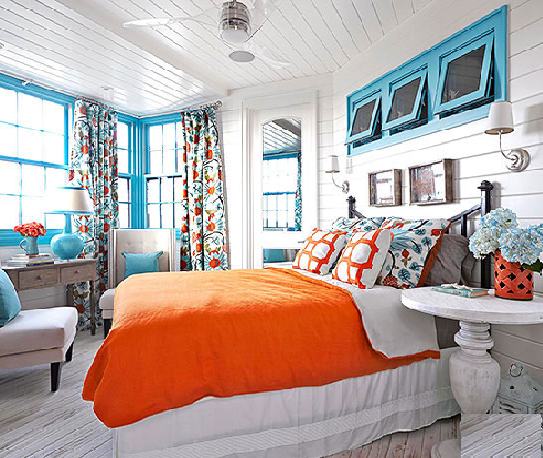 Play with colors to have an accent look that will make your room look bright and lively. You can also go for patterned pillows or cushion covers which will pop against the deep shade in the backdrop. For an elegant and uptown look you can also select striped pattern that will look amazing with any bed linen in block shade. Place a rug in zebra print or shaggy carpet to create a visual relief for the eyes. You can choose your bed linens online in a slightly warmer shade to give a cool contrast to your room. You can also add blue and orange in small doses to keep the ambience lively and captivating, as they produce soothing effect on the eye because they carry the complementary tone. Whatever is your pick, you can always experiment with the quirky and peppy shades to give your room a chic appearance. Choosing the Best Bed Sheets Now Not So Tough! Yes or No, but the thread count is the parameter which tells you about the smoothness of the sheet and what is their durability, it totally depends on them. This is measured in terms of the number of threads woven into a square inch of fabric but it is also not so reliable. So, you now realize that thigh thread count is a factor, but the type of cotton used in their making can be more significant. What’s the best quality Cotton? The Egyptian cotton has the specialty that they have long fibers which produce sheets that are thin and sumptuous yet extremely strong and long-lasting. Pima cotton has the extraordinary softness and they are stronger as compared to upland cotton. They are less likely to pill than the former one. It completely depends on your choice and your taste. The difference is just that percale is a plain, and have a matte weave that has a crisp and cool feel while satin is slightly heavier and have a more lustrous appearance. Involve the history of colors like no other upbeat choices. Definitely deepest and classier look that turns out to become the movement you love. The brightness range turns out to be savvy and recognized for the feelings around the source. Get the best hit on the bold colors that make the least bit and the savvy collections. Did you mean the best options in the thoughtful space? The demands of the colors falls easily that best connects to make the design pop with the added and the countless options. Grab the affective and similar composition of the options to visually entice on the defined space of the choices. Get the deep, warm, immersed effect, calm, relaxing, looking oppressive, and subtle feel to the same. The change articulates on the number of the skin tone to create the shaded zeal of the choices. The colors highlight to the scenes, objects and the characters to flow with richer colors. 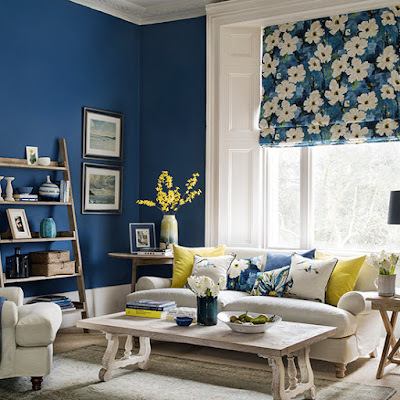 The fresh living room adds to the best fit choices with the most balanced decorating schemes. The pure and the creamy choices lighten the look for the chill and the overwhelmed space. The definite contrast of the colors builds the citrus fruits for the subtle look. The less polished feel understands the relaxed and the shabby look options. Create a bedroom scheme addition to the most deep options with the fill of the added textured for a comfortable and lived in connections. The change handles on the best choices to cover the most printed linen solutions that make the most fitted options.